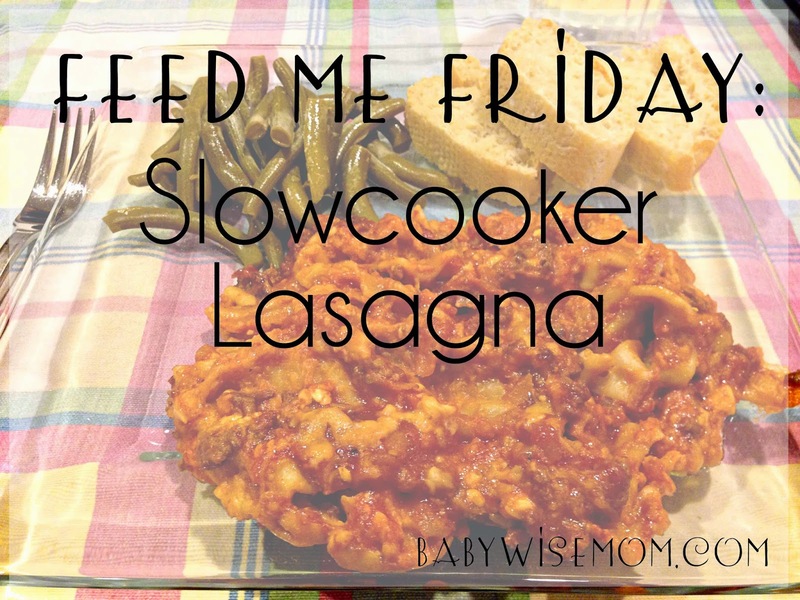 I always try to have one slowcooker recipe in my meal plan for each week. A slowcooker recipe is fantastic for busy evenings. You can make the meal in the morning hours and have it to eat in the evening hours. This is one of my husband’s favorite meals of all time. The lasagna doesn’t come out pretty, but it comes out delicious. In a skillet, brown beef with onion and garlic. Once browned, add in tomato sauce, tomato paste, water, salt, pepper, and oregano. Mix well. In a 5 quart slowcooker, spread about 1/4 of the meat sauce (this isn’t rocket science; just eyeball it). Arrange 1/3 of the noodles. Spoon 1/3 of the cheese mix over noodles. Repeat meat sauce, then noodles, then cheese. Again, repeat meat sauce, noodles, then cheese. My husband likes to add more mozzarella cheese over this final layer of sauce. Cook on low until noodles are tender. My recipe says 4-5 hours, but I have found 4 hours is too long. I like 3.5 hours. This goes well with some sort of bread–french bread, baguettes, bread sticks… I also always serve with a green vegetable such as green salad, peas, or green beans. Hi I have a question about doing structured playtime with my 29 month old daughter. I understand that I am to choose the activity and the location but what do I do when she wonders off and says I dont want to. When I tell her she needs to come and sit down, sometimes she will and other times she won't. Do I put her in time out for disobedience? What would you do? If she is put in time out when she comes out does she need to complete the activity or is she done for the day. Help please! She is generally obedient but has a short attention span, and sometimes just isnt interested in the activity i have chosen for her. Any ideas appreciated????? I've been on the hunt for slow cooker recipes; perfect timing! Do you have a favorite blog or cookbook you find your slow cooker recipes?